For tips, tools, and updates on SWR, seminars, and products, fill out the form below. Around third grade and above we suggest that students transition to the Black Learning Log for “advanced” study in spelling and reading. 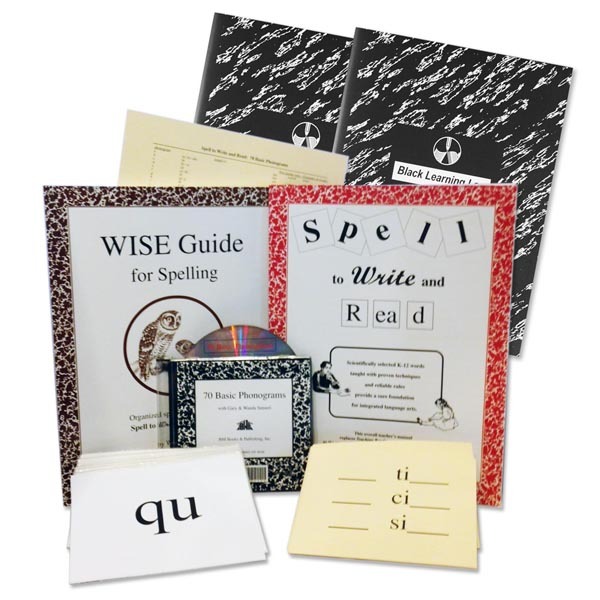 Students at this Skill level are well established in their reading instruction. Although their penmanship skills are automatic, they may be ready to transition to cursive if they have been using manuscript writing. These students are ready to work at the advanced level in the Wise Spelling Lists, to continue developing strong reading comprehension, and to delve deeper into studying the English language. NOTE: This Combo will provide you with one Black Learning Log for the student and one for the teacher. If you have additional students that fall within this Skill Level, you will need to order an additional Black Learning Log for each student within this Skill Level. See the Yr 3 Combos page for a comparison of all our packages at this skill level. Would you like to know what materials you need to teach SWR? Click here to find out. We are now shipping the newest version of both the Wise Guide (2015) and SWR (2016) books. Ⓒ2015-2019 All rights reserved. Contents property of LITHBTH Ed. Srvcs.